Welcome to our very first A Week to Die For! 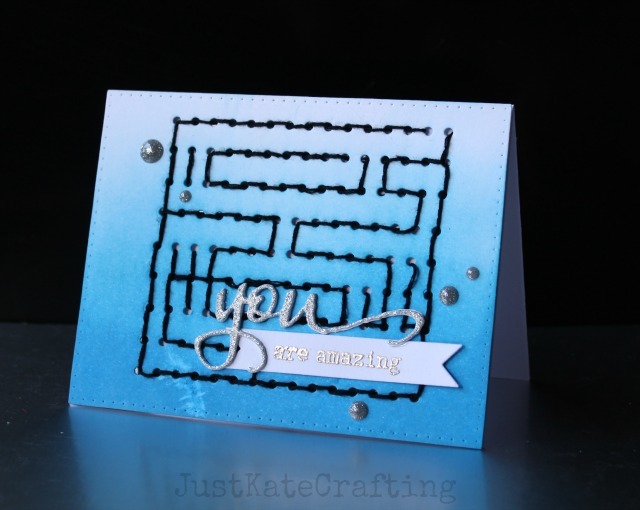 For the next 4 days we are going to keep you inspired to pull out your cutaways and craft away! 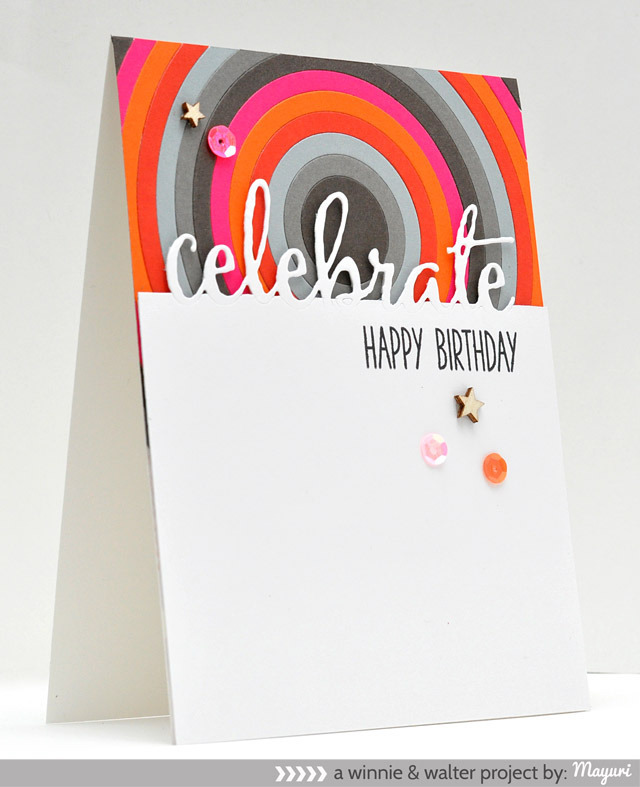 Along with our boundless Talent we've brought you a slew of sensational designers to spark your die-cutting obsession. I am excited for this event not only because of the Cutaways (they are pretty fantastic), but also because we have amazing guests and our Talent always knock my socks off (thankfully not literally as I need my socks with the cold front that blew in today). Anyway I feel honored to be playing along with this grand group of creatives. I took on a masculine type birthday card today because frankly I need one as March is a big birthday month in my family. Strangely my inspiration point today is an amazingly glittery In a Word: Happy Cutaway that Stephanie Klauck posted on Instagram (follow us Instagram and you will see what I mean!). I have a stash of Pow glitter paper by American Crafts that needed to be cut into. I chose jade as it is a bright, happy and gender neutral color. I then went into one of my full embellishment containers and pulled out the Crate Paper's Boys Rules vellum shapes. Although they can be used for younger boys, there are quite a few elements that work well for a boy of any age...even an uncle who is nearly 60 or a cousin in his 20's. 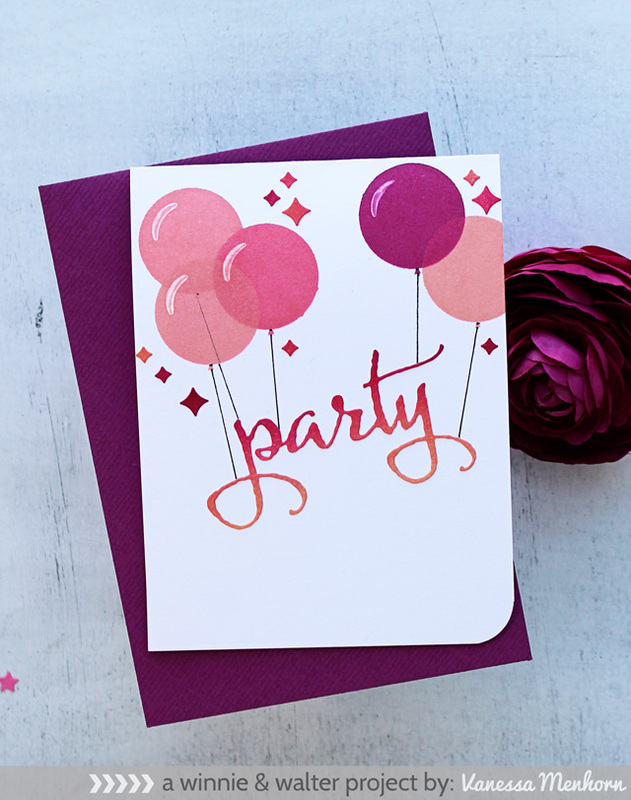 I cut "birthday" from The Big, the Bold and Party Cutaways in the jade glitter paper. From white cardstock I cut the smaller rectangle layer from Essentials: Katharine Cutaways. 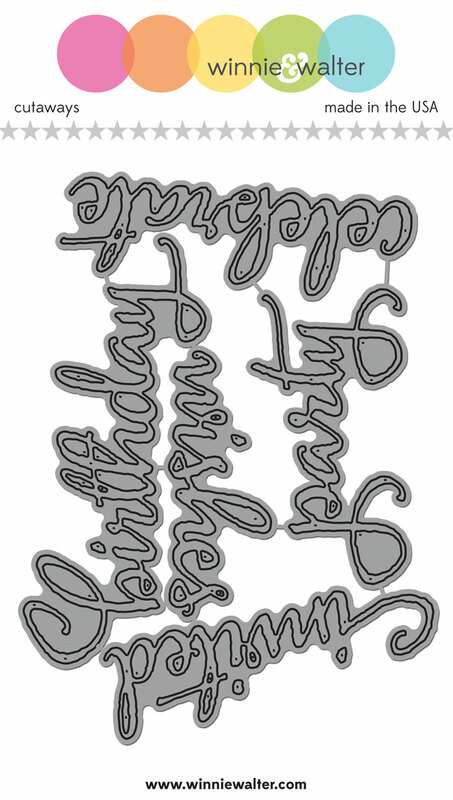 After playing a little with placement (including putting birthday at an angle), I cut the circle border/line from Essentials: Katharine Cutaways out of the panel. 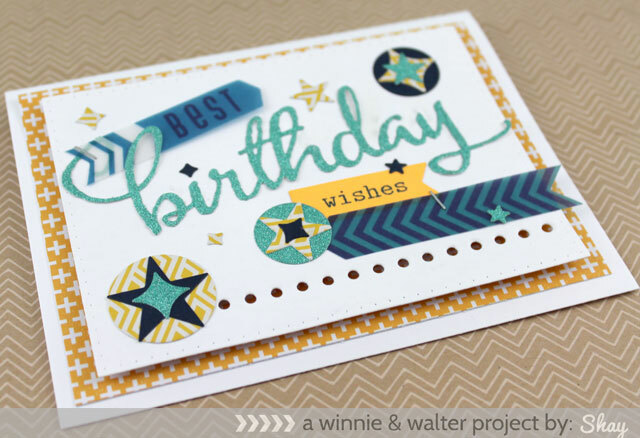 I cut the smaller banner out of a yellow-orange cardstock and stamped the small "wishes" from The Big, the Bold and Party in navy Hero Arts Mid-Tone Shadow Ink. I used my tiny attacher on the vellum. 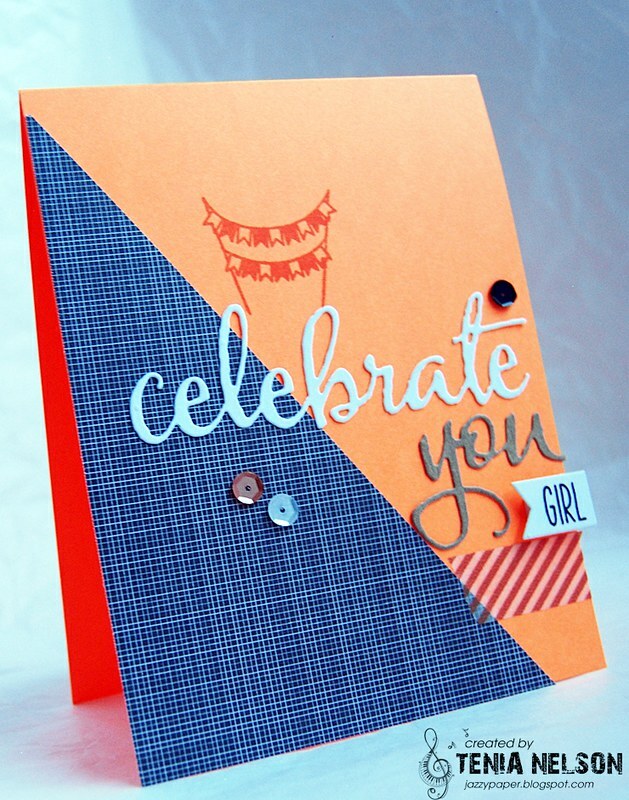 To add some more interest I created layered embellishments made using Big Bang Confetti Cutaways with the glitter paper, navy cardstock and patterned paper from the Soho Garden 6x6 paper pad from American Crafts. 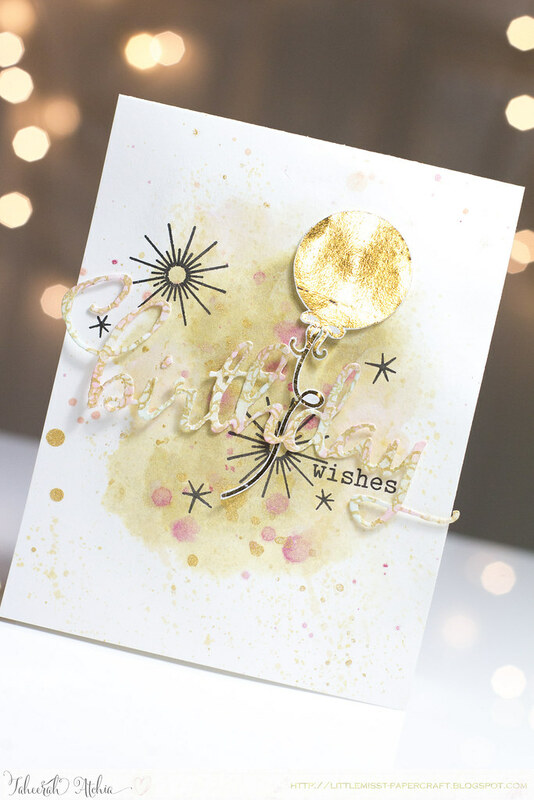 I also sprinkled a few of the stars around the card. I adhered the entire white panel onto a piece of patterned paper from the Printshop 6x6 paper pad by Studio Calico with dimensional foam adhesive. Last, I adhered the layers to a white A2 card base. WoW these are all amazing love the inspiration by the team and the other ladies love, love everything. What a great way to showcase all of these fab dies. Love all projects. So much fabulous inspiration! I love seeing how differently everyone used the same products and got such very different but still amazing results. Absolutely love Shays card as a mum to three boys i defo need some inspiration for cards i can use for the boys. :Love both of these sets! I do not have enough words to use and these are perfect! Such wonderful inspiration! 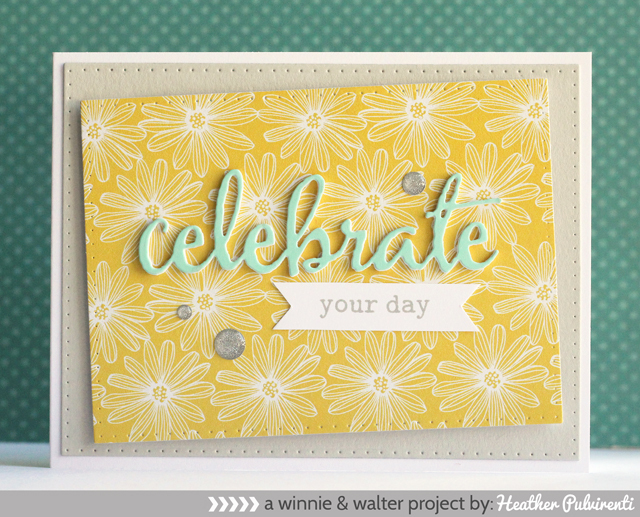 Stunning designs - the Cutaways are amazing products, absolutely love these dies! Thanks for all the fun inspiration! Love the samples. 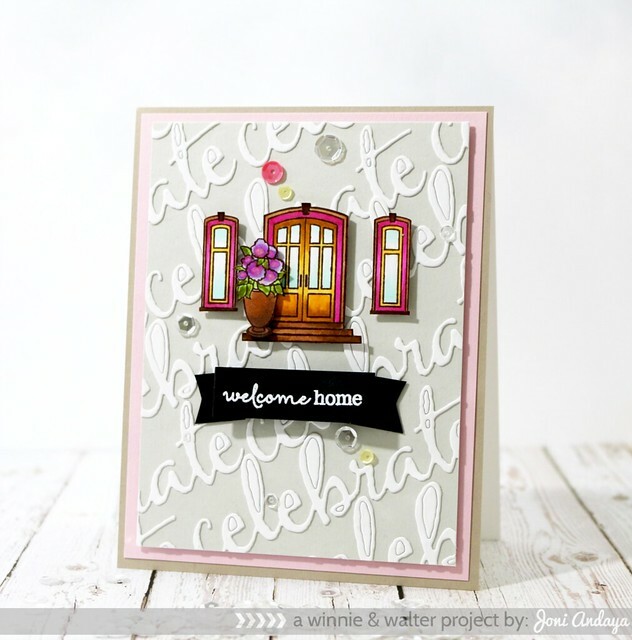 Fabulous cards - great ideas on how to use the cutaways! 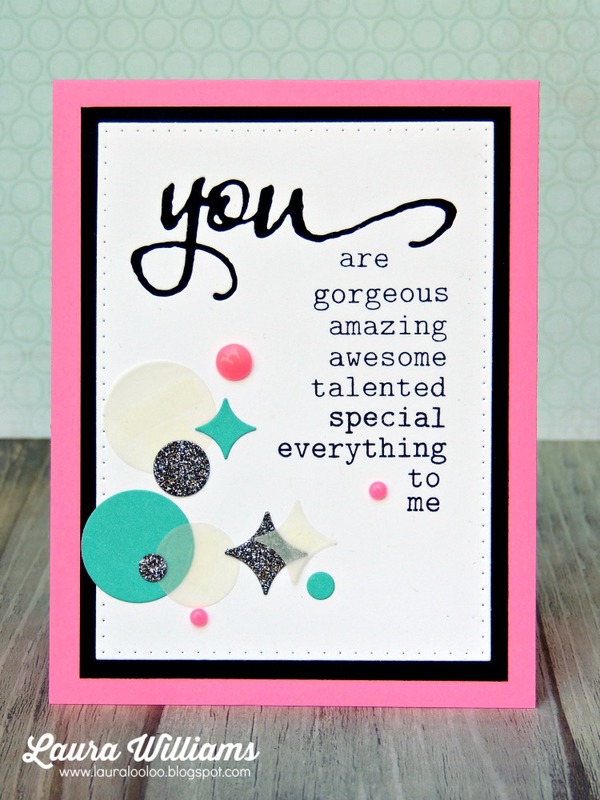 Love the size and script font of these word dies - awesome focal point! I am so dazzled and amazed with the diversity that was created here - awesome and SO delightful!! Your guests and your designers just flat out shines and sparkled and made me say WOW!!! These projects are so beautiful and give so much inspiration. Lovely...Talented ladies. I LOVE these big bold cutaways!!! Fabulous projects showcasing them too. I love these cutaways!! Stunning projects too!! wow!! amazing set of cards!! awesome talented ladies!! very difficult to pick one favorite :) love thm all..
WOW - ABSOLUTEDLY FABULOUS cards & gift wrapping - I'm TOTALLY INSPIRED - THANK YOU for sharing EVERYONE!!! These projects are amazing! I am loving this week already! 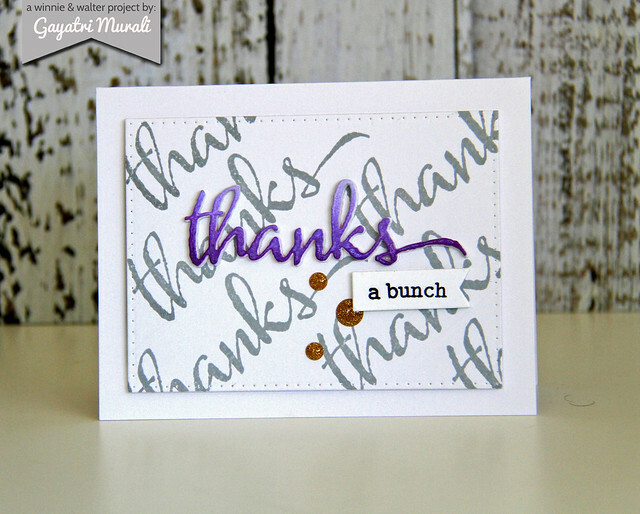 So many wonderful ideas, you have the most incredible DT and guest designers, they totally rock your products!! 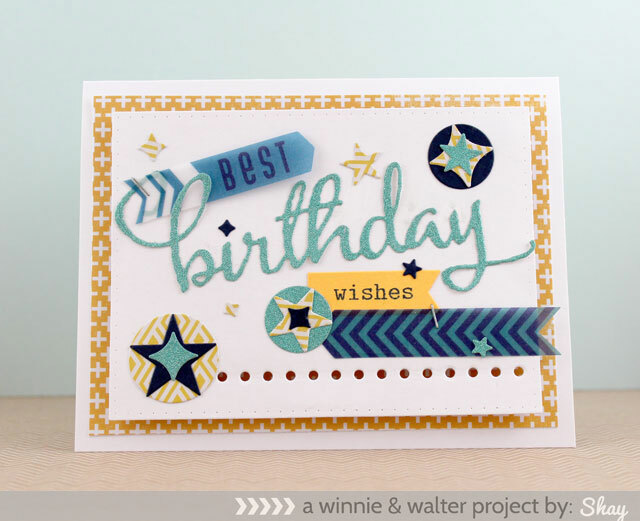 Awesome die cuts and some really innovative ways to use them! 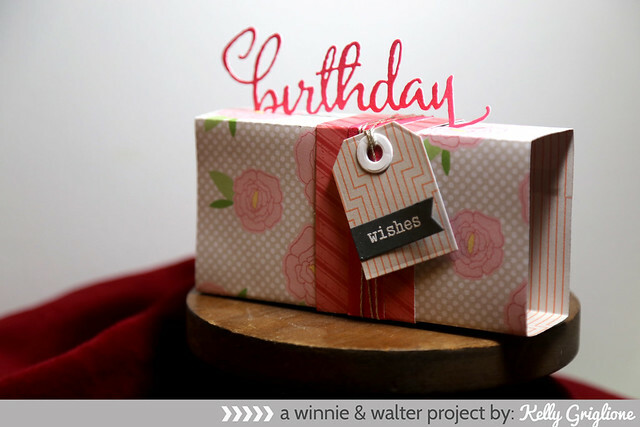 Thanks, Paulette S.
I am totally a word die addict and these are fabulous I so love the W&W font.